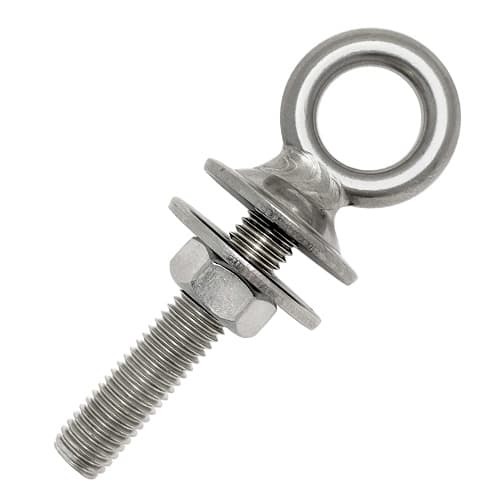 Collared eye bolt with metric thread, supplied with washer and fixing nut for trouble free installation. How should you select the right eye bolt? Use plain or shoulderless eye bolts or ring bolts for vertical loading only. 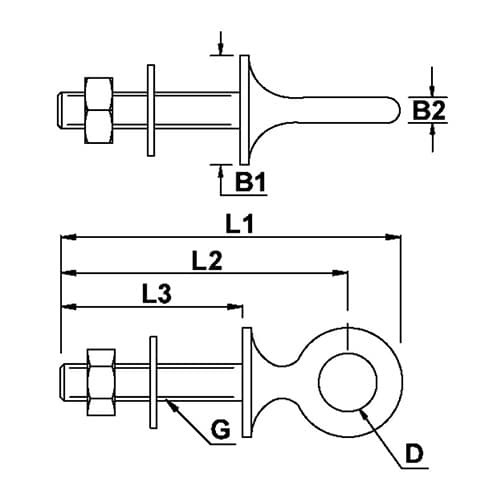 Angle loading on shouderless eye bolts will bend or break them. Use shoulder eye bolts for vertical or angle loading. How should you use stainless steel eye bolts safely? Orientate the eye bolt in line with the slings. If the load is applied sideways, the eye bolt may bend. Ensure that the nut is properly torqued. Engage at least 90% of threads in receiving a hole when using shims or washers. Install the shoulder at right angles to the axis of the hole. Does the job, good quality. Good quality, well finished product. I have not used these eye bolts yet but they are good quality exactly what I ordered, I have no doubt that they will perform well. This eyebolt looks well constructed and will accept a strong pull. Exactly what I wanted. Does the job perfectly. Good quality parts plus good delivery service. Good quality stainless product ideal for outside use.